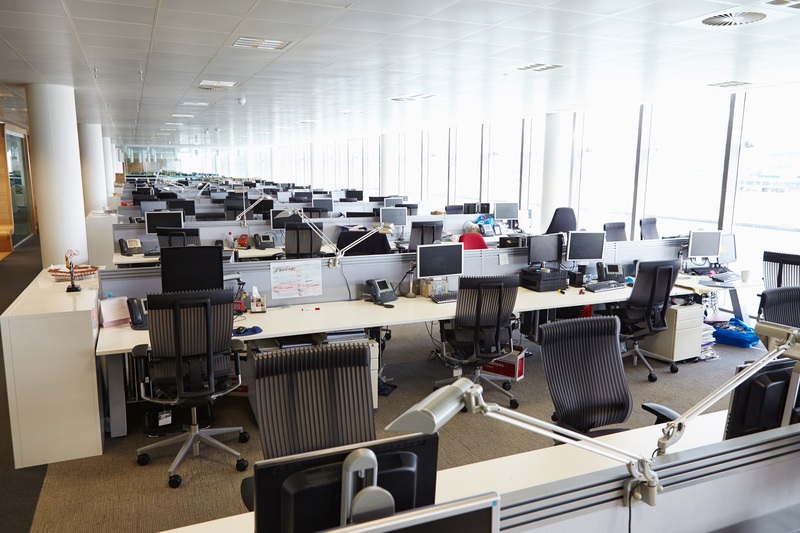 We all work in multi-floor environments – rows and rows of desks, each with usually not one but two screens, and a scattering of accessories and cords keeping us connected and powered on. With technology’s obvious benefits comes challenges for those responsible for upgrading these devices, and facility managers must seek responsible solutions for the disposal of those no longer needed. According to the Global E-waste Monitor published by the United Nations University, current estimates suggest the world’s population is on track to generate 60 million tonnes of e-waste by 2021. A considerable portion of this is business IT equipment, made up of computers, laptops, printers and multifunctional devices. As pressure mounts on organisations to reduce waste and maximise reuse and recycling opportunities, facility managers need to remain diligent with their efforts to ‘go green’. As a 21st century phenomenon, the effective management of e-waste is pivotal. In addition to the growing importance of upholding a strong corporate social responsibility reputation, sending e-waste to landfill will soon be a legal offence in Victoria, as the state-wide e-waste ban comes into effect on 1 July 2019. By working strategically and in collaboration with third party organisations like ANZRP, companies can easily map out a path for e-waste management that is economically viable and environmentally sustainable. Develop an e-waste strategy – Help avoid the unwanted build-up of stock by identifying the problem (possibly through an e-waste audit) and putting forward a workable plan to address your site’s requirements. By identifying the potential waste stream you can make sure you are prepared to manage it appropriately. Make life easy – Focus on implementing a solution that makes it easy for people to embrace responsible recycling. Adopting the KISS principle, ensure processes are simple to follow, receptacles are easily identifiable, and communication is kept clear and concise. Select reputable recycling partners – Protect your brand. Always ensure strict standards for downstream vendor processing and materials traceability are adhered. This should include, at a minimum, compliance to the Australian standard for e-waste recycling (AS/NZS 5377:2013) as well as HSE legislation. Clearly define the scope – To gain the benefits of a well delivered program, it is recommended users are familiar with inclusions and limitations of the service. Clear communication and appropriate collection systems are vital. ‘Clean the decks’ – Work with your team to create specific campaigns helping collect and recycle e-waste. One such example is the implementation of a ‘Clean the decks’ initiative – a one-off collection drive to help facilitate the responsible handling of e-waste and educate staff. Call TechCollect – ANZRP-TechCollect is happy to provide assistance in the development of effective e-waste management and communications campaigns to support better e-waste recycling services. Research undertaken by ANZRP-TechCollect revealed that personal data is a key concern amongst Australians, with 64 per cent stating they don’t recycle e-waste over fears information contained on the hard drives of their electrical devices may fall into the wrong hands. It’s understandable to be concerned about risk surrounding data security. Deleting files from a computer’s disk drive or reformatting does not ‘physically’ overwrite data. Options available include ‘wiping’ data with specifically designed software packages, or utilising an external data destruction service, deploying a combination of software and physical data destruction processes. A comprehensive guide about data deletion/destruction can be found at techcollect.com.au/delete-your-data. You have probably heard a lot of late about the ‘circular economy’ and the importance of moving away from our current linear ‘take-make-dispose’ approach. Responsible management of e-waste is an excellent example of what we can do now to recover valuable commodities from end-of-life equipment and return it to our manufacturing industry. For more information, please visit www.anzrp.com.au.